The need for power, quality, and style has once again been executed by Agency Power with their brand new catback exhaust system. This new stainless steel exhaust system features a brilliant titantium muffler with a titanium 4.5” tip etched with the Agency Power logo. The system utilizes T304 stainless steel piping TIG welded with thick flanges. The system includes a flex joint for perfect fitment and reduced stress on the system. The center pipe features a resonator to get the perfect engine sound. The Agency Power catback exhaust includes strong durable hangers, gaskets, and hardware for a perfect fitment. 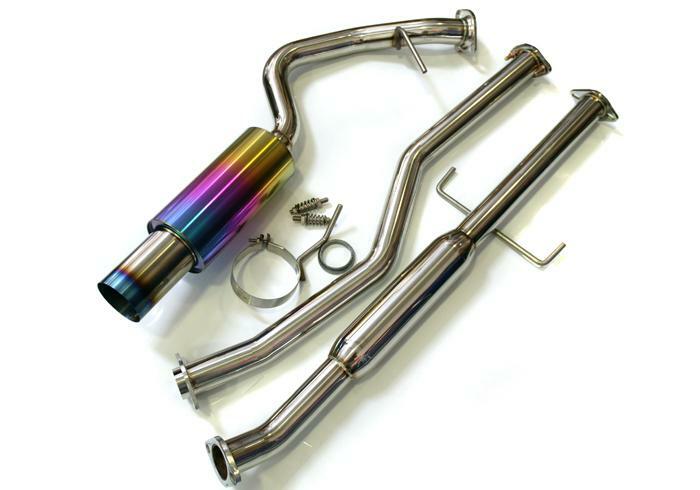 The catback exhaust will fit to the factory downpipe or aftermarket downpipes/headers. The exhaust has an angled exit as seen in the pictures for that JDM look. The race sound of the exhaust will not drone inside the car but give you that quality tone you desire.